Installing Versalok Metal Post System. The following guides have been gathered over the years and we find they are the questions we get asked everyday at the counter. We would still recommend an experienced contractor carry out your job but the following may just help you if your a keen DIY’er. 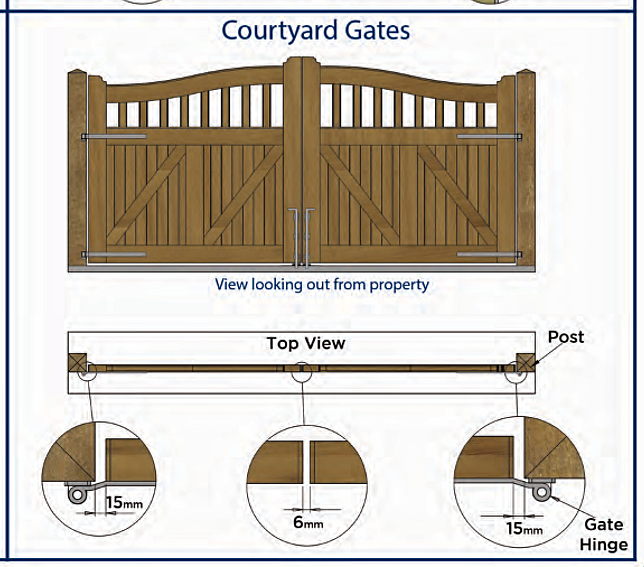 We recommend you have all the items you require and lay out the gate to ensure it will fit. We DO NOT recommend fitting the posts before you have the gate! 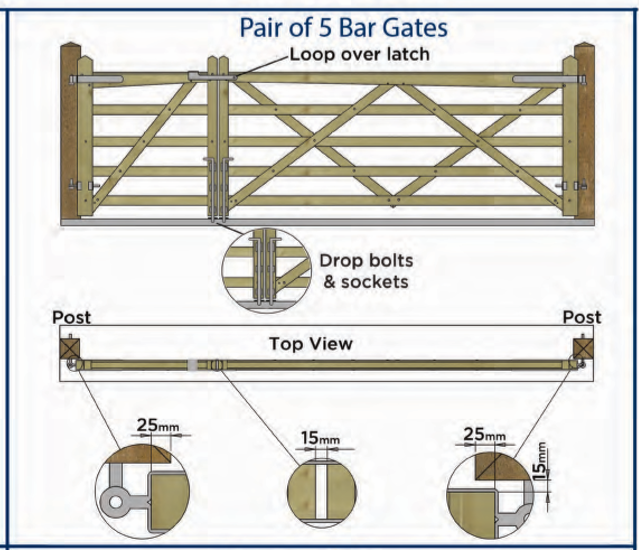 Hanging A Pair OF Field Gates- we recommend drop bolts are fitted to both gates. You should place the top pin upside down to help prevent theft of the gate. We recommend using a 24 inch hinge set for any gate over 7ft. You will need to drill 19mm holes using an auger bit for the pins. Alternatively use hook on plates if this isn’t possible. Hanging A Pedestrian Gate. On all gates over 1.5m (5ft) in height we recommend you fit a Brenton bolt top & bottom to help reduce any natural movement in the gate and to keep it plumb. Hanging A Pair Of Courtyard/Driveway gates. We recommend drop bolts are fitted to both gates. Cedar shingles come in various grades. Ours are Grade 1 blues. A premium grade shingle suitable for high end roof and wall cladding applications. Strainer post should be notched out or a vice bite should be used when fitting the struts. Strainers are normally placed at the start & end of a run. Every 50m, when there is a change in direction or a significant change in ground level. Intermediate posts should be placed a maximum of 3m apart. Various tools such as monkey strainers & netting stretchers can be used in the installation of stock fencing. More information can be found on our fencing tools page. There are lots of ways to price and fit a decked area. But a very basic guide is as follows. Joist to be placed at 450mm centres. we recommend using 100 x 50mm or 150 x 50mm. Supports should be placed within the deck framework. Normally 75 x 75mm or 100 x 100mm would be used. There are legal limits to raised decked areas. ALL CUTS NEED TO BE RESEALED WITH OSMOSE END SEAL OR PRESERVER. Our deck boards have a coverage of 120mm. If your deck in 4m x 2.7m and you want the boards to run the 2.7m length you would do the following. 4000mm (which is 4m in millimetres)divided by 120mm. your calculator will show 33.3. You can’t have 33.3 deck board! So you would required 34no deck boards (closest we have to this example is 3m) to cover this. This doesn't allow for skirting & trimming the deck. If your deck is not square you can simply work out the square meterage. Square meterage does not allow for cutting or waist so bear this in mind when ordering. Example 4m x 5m deck. You now need to work out the square meterage of a deck board. You take its width and times it by its length. 0.120 (that's the coverage in mm of our deck boards) x its length so lets say 4.2m. So in this example the deck board is 0.50 (so half) of a square meter. Finally take the size of your deck in this example is was 20m2 and divide it by the square meterage of your deck board that you have just worked out. So…. 20 divided by 0.5 equals 40. You will need approximately 40 boards. Our feather edge is 125mm wide. So we recommend an overlap of 25mm. This means you need 10 boards per meter of fence. For fences over 1.2m you should use 3 or more rails. Post should be placed at either 1.8m 2.1m or 4.8m centres. A top cap and gravel board will help to prolong the life of the fence but it also looks good too. Post should sit 600mm into the ground and you should use 1-2 bags of postcrete per post to secure. You choose a picket that is 75mm wide and you decide to have a gap of 50mm between the pickets/pales. 10,000 divided by 125mm equals 80. you will need approximately 80 pickets/pales. For fences over 1.2m you should use 3 or more rails. Post should be placed at either 1.8m 2.1m or 4.8m centres. Posts should be a minimum of 450mm in the ground and 600mm for fences over 1.2m in height. This modern horizontal fencing is easier to work out than you think. Step 1) Choose the height of your fence and turn this into a mm measurement. Step2 ) Choose your baton. Our most popular option is 3.6m x 50 x 25mm smooth (44 x 19mm finish). You know you want your fence to be 1800mm high. 1800mm divided by 54mm is 33.3. 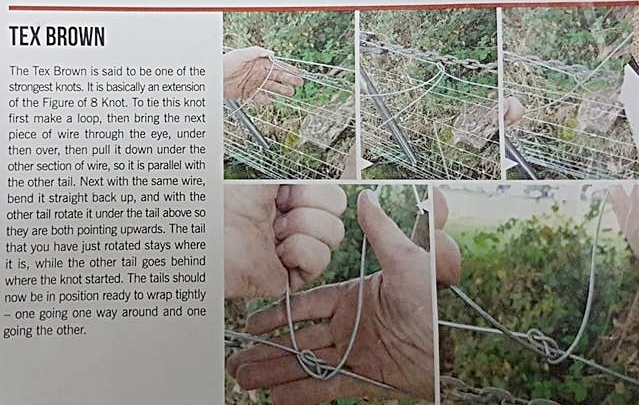 So this means you will need 33/34 baton for each 3.6m section of fence. Step 5) Lets say the fence is 12m long. 12m divided by 3.6m (as this is the length of your baton) = 3.3. So you will have three full sections each 3.6m and a shorter section. Step 6) 3.3 x 34 =112.2 You will need 112/113 batons for the fence. Step 7) Add an extra baton to place vertically between your posts this will help to keep the horizontal batons aligned. Rear of fence-here you can see the support baton and the construction process.